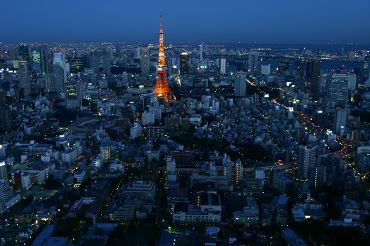 Tokyo Tower — A famous landmark of Tokyo! 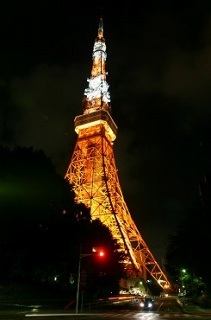 Tokyo tower is a 333 meters high radio tower, and it is a famous Tokyo landmark. Since it was constructed 51 years ago, it has been the tallest self-supporting steel structure in the world. Tokyo tower has tourists’ attractions such as observatory, aquarium, and museums. The Tower is illuminated with an orange light in winter and white incandescent light in summer. The lighting is changed for special events like Christmas, soccer world cup memorial, health campaigns or movie promotions. Now, the second Tokyo tower is under construction. The new one, Tokyo Sky Tree, is a digital broadcasting tower, which is 610.58 m high and will be the tallest structure in Japan.